Emmet Stagg has strongly criticised the chairman of the Labour Party who resigned his membership today. THE LABOUR PARTY’S chief whip has welcomed the resignation of chairman Colm Keaveney from the party today, accusing him of betraying members who elected him chairman. In a strongly-worded statement issued this afternoon, Emmet Stagg said that Keaveney has “consistently attacked” Labour since losing the whip in December. He also pointed out that this is the second time that Keaveney had resigned from the party having quit in 2007 in protest over Pat Rabbitte’s leadership at that time. This followed the 2007 general election where Keaveney failed to get elected in Galway East. “I welcome Colm Keaveney’s resignation from the Labour Party,” Stagg said today. “His latest resignation follows his departure from the Parliamentary Labour Party in December 2012, and his resignation of party membership in 2007. Stagg, a TD for Kildare North, said that Labour’s public representatives would continue “the job that we were elected to do”, saying this was to “fix our broken economy, create employment, and improve the livelihoods of those we represent”. He also confirmed that vice chairman Lorraine Mulligan now becomes the chair of the party. “I have no doubt that she will lend her valuable expertise and experience to her new role,” Stagg added. 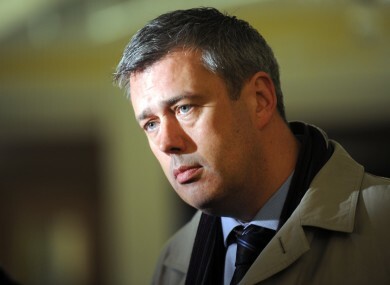 Email “Labour whip: Colm Keaveney betrayed our party, I welcome his resignation ”. Feedback on “Labour whip: Colm Keaveney betrayed our party, I welcome his resignation ”.